The Directors of the Peace On Earth Film Festival, along with the Board of Directors of Transcendence Global Media, NFP, are pleased to announce that the 2017 Peace On Earth Film Festival, Friday, March 10th, through Sunday, March 12th, will be held at the Music Box Theatre, the premiere venue for independent and foreign films in Chicago. Tickets will go on sale February 10th, 2017. 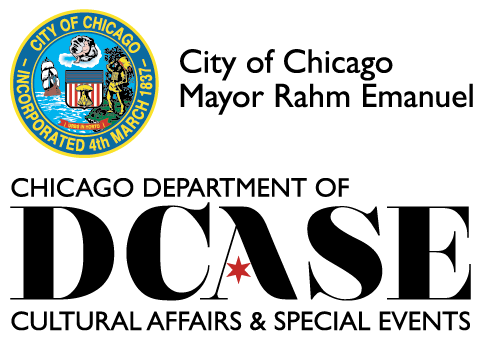 Student Voices for Peace Education Outreach, an ALL FREE program for Chicago school students is being held in the Chicago Cultural Center’s Claudia Cassidy Theater (2nd floor-north) on Thursday, March 9th, 2017. The Department of Cultural Affairs and Special Events is co-presenting the screenings for the Student Voices for Peace program. Download Flier (PDF). The 9th Annual Peace On Earth Film Festival (POEFF) celebrates and supports independent filmmakers and their work from around the world on the themes of peace, nonviolence, social justice and eco-balance: films within the various modalities of peace genre. POEFF aims to contribute to a culture of peace through international cinema, dialogue and programming highlighting individuals on the vanguard of peace activism and social change. Presenting a program of multi-faceted films, POEFF focuses on reshaping attitudes, encouraging and highlighting nonviolent practices, and opening minds to the possibility of communication, consideration, tolerance and understanding. POEFF features an Opening Night Press Gala, Filmmakers’ Panel discussions, Peacemakers’ Panel, discussions and a Closing Night Awards Ceremony where exhibiting filmmakers are honored, and category winners receive accolades and cash prizes.